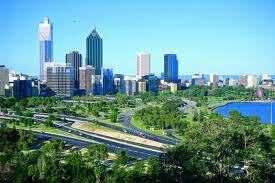 When you’re planning a relocation move and would like a Cheap Removals to Perth, Look no further. Interstate Removals are experts at Interstate Removals can help. We guarantee the cheapest prices, quickest delivery and safest handling of your furniture around. We’ll start by offering you some of the most competitive rates in the industry for Cheap Removals to Perth. You might think moving to one of the world’s most isolated cities like Perth will be expensive but you’d be wrong. We guarantee rock bottom prices by using Backloading, which is when trucks making their normal deliveries have some space left over and we use this space to deliver your furniture. This ensures you the lowest price for your furniture removal and the quickest delivery. Not all furniture removal companies use backloading so this is where you have the upper hand if you come to us. We know moving house can be stressful, so by using backloading we can guarantee your furniture will be moved around Perth, or across Australia, quickly, cheaply, and most importantly safely. It’s not just fast and ultra-affordable delivery of your furniture that you can expect. With years of experience in the furniture removals business we know how stressful a move can be so we help you with extra services like delivering packing supplies to your door, putting you in touch with insurance companies for a peace-of-mind insurance policy, and we’ll even deliver your car or motorbike to where it needs to be. Whether it’s around the corner in Perth or a trip from the other side of the country, we’ve got your furniture removal sorted. No move is too big, none too small, and because we offer individual tailor made quotes, you know you’re only paying for the furniture move you need. So when you’re planning your furniture removal to Perth and you want to be in the hands of true moving professionals, look no further than the most reliable and affordable moving company in Australia, Interstate Removals. Well, its really a nice thing if you get interstate removalist at cheap prices. There are so many companies that provide you all facilities for your shift. You can find them online. I am also interested to shift my furniture so, these blog really helpful for me. Great! How many storage units do you have available? We have customers moving to Perth that do require storage. We move furniture to Perth from all over Australia so do keep us in mind for referral business. Awesome… what a affordable removalists Perth services that you sheared in this nice blog. I will refer your nice blog for my guidance. Yes it is awsome. Best Interstate Removal rates for cheap removal Perth so feel free to call and use us. Awesome… Nice affordable removalists Perth services that you sheared in this nice blog.Thnaks for sharing.